Little applications for video, audio, and image. 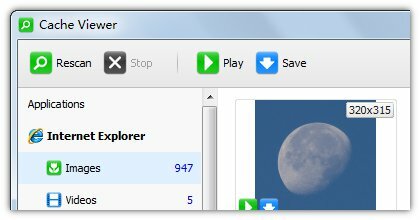 Find cached video, audio, and image files in your browser cache. View/play cached files directly from your application cache. Extract and save cached files to your local disk. Support IE, Chrome, Firefox, Opera, and other popular web browsers. 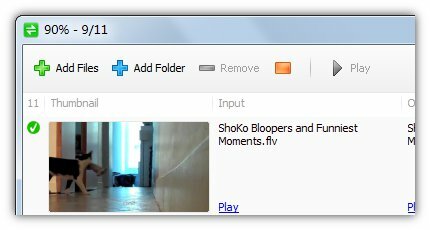 Convert videos to MP4, FLV, WMV, AVI, and more various formats. Convert videos for iPhone, iPad, Android, Windows Phone, and more. Fully customizable output format settings. 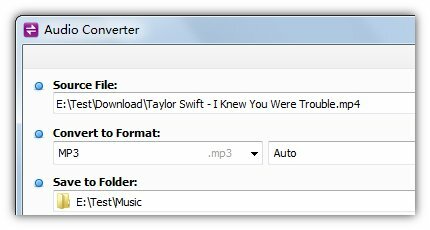 Convert audios to MP3, AAC, AC3, OGG, and more various formats. Extract audio track from video file and save it as MP3 or other format. Convert video/audio files to any format: MP4, FLV, AVI, and more. Convert video/audio files for any device: iPhone, iPad, Android, etc. Play 3GP and 3G2 video files. Display video thumbnails in playlist view. Support zoom 0.5x/1x/2x mode and full screen mode.